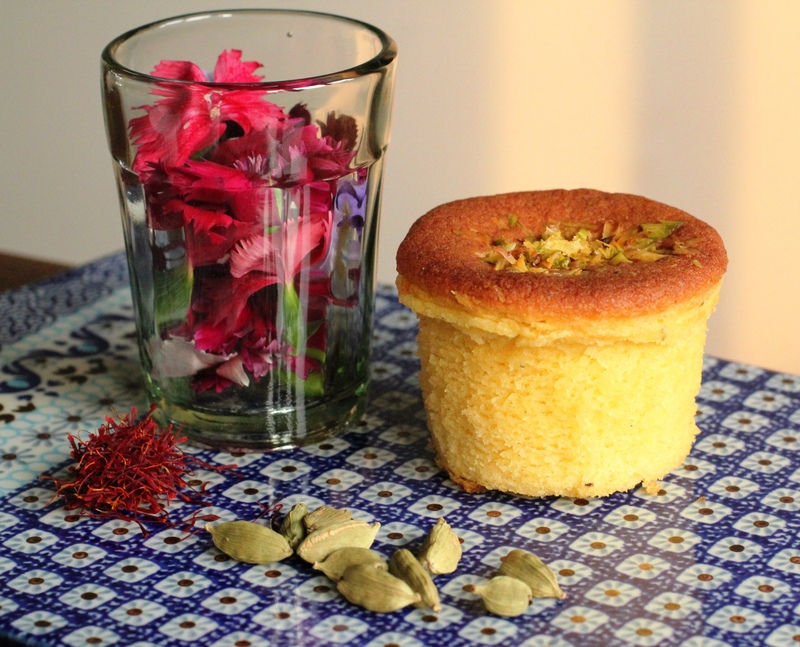 Mawa cakes – creamy, buttery and utterly delicious! I have recently rediscovered the joy of mawa…much to the dismay of my weight watching, try-and-eat-less-sweets regimen. For the uninitiated, mawa is milk solids. It is made by a mildly laborious process of taking full fat milk and cooking it over low heat for some time, till it is reduced to nothing more than a mass of creamy milk solids. While I love using mawa, the idea of spending time to actually make it at home was not appealing. And since there is no chance of popping into a neighbourhood ‘halwai’ in Singapore, I had pretty much written of ever using it. Till lo and behold I discovered a packet of mawa sitting in the chiller section of Mustafa! I snatched it with much glee and decided that the first thing I would make is my favourite mawa cake. I didn’t have a recipe so I first turned to the Parsi cook book I had been presented at my wedding, ‘Jamva Chalo ji’, thinking surely it must have a recipe for the cake. But alas, it did not. So I then scoured the net and came across a recipe that I adapted. 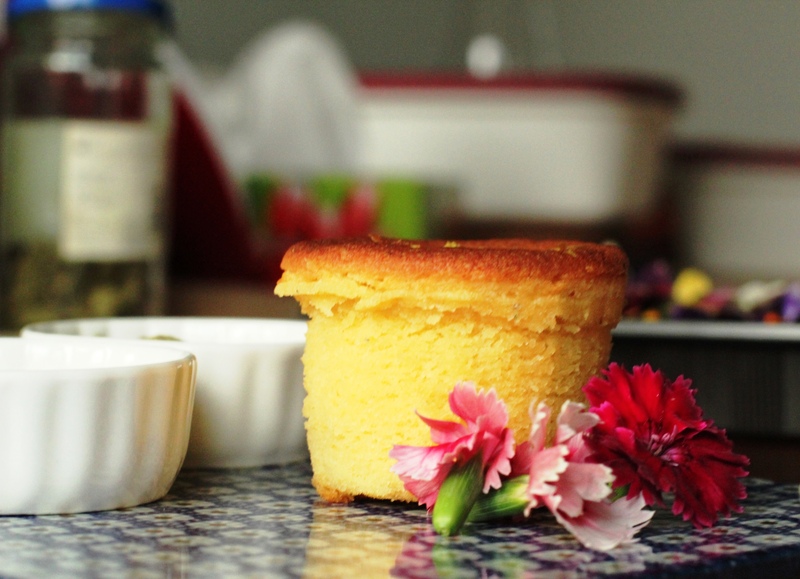 The recipe is quite simple and pretty close to making a regular sponge cake. Except it includes the addition of mawa, spices like cardamom and saffron and lots of butter. I omitted the pistachios in the batter and added more butter to compensate for the mawa, and to prevent the cake from drying out. 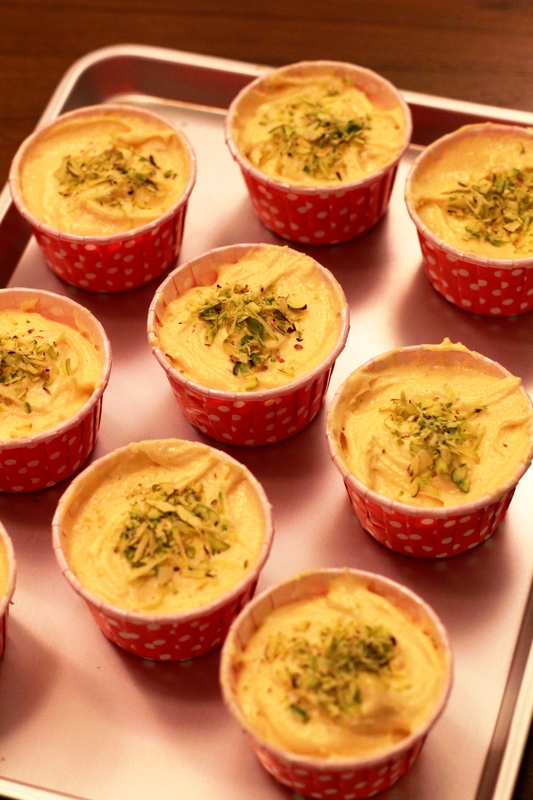 And wanting to get as close to the Bombay original I baked it in my cute polka dotted cupcake cups. The batter tasted amazing and I could already recollect that creamy and buttery taste of the famous mawa cake from Bombay. But ultimately it had to taste good after baking, so I popped them into the oven and waited…. This entry was posted in Mumbai memories and tagged cake, dessert, Irani cafe, mawa cake. Bookmark the permalink.